Transcriptomic and Proteomic Expression Analysis of Cysteine Rich Angiogenic Inducer 61 in Normal and Diaphyseal Tibial Fractures Patients: A Case Control Study. International Journal of Health Sciences and Research (IJHSR). 2016; 6(10): 57-62. A Randomized Controlled Trial: Evaluation of Yoga with Il6 as Biomarker in the Management of Knee Osteoarthritis. International Journal of Health Sciences and Research (IJHSR). 2015; 5(1): 73-79. Journal Of Advance Researches In Medical Sciences ( Formerly Journal of Advance Researches in Biological Sciences). 2013; 5(2): 177-180.
International Journal of Reproduction, Contraception, Obstetrics and Gynecology. 2016; 5(8): 2709-2712. Journal Of Advance Researches In Medical Sciences ( Formerly Journal of Advance Researches in Biological Sciences). 2011; 3(1): 86-89.
International Journal of Research in Medical Sciences. 2016; 4(12): 5185-5189. Completely Isolated Duplication Cyst (CIDC) in a New Born: A Case Report. International Journal of Health Sciences and Research (IJHSR). 2016; 6(1): 545-549.
International Journal of Research in Medical Sciences. 2016; 4(3): 836-840.
International Journal of Research in Medical Sciences. 2015; 3(7): 1788-1791.
International Journal of Research in Medical Sciences. 2016; 4(8): 3479-3485.
International Journal of Reproduction, Contraception, Obstetrics and Gynecology. 2016; 5(6): 1714-1718.
International Journal of Research in Medical Sciences. 2016; 4(8): 3360-3364. Journal Of Advance Researches In Medical Sciences ( Formerly Journal of Advance Researches in Biological Sciences). 2011; 3(1): 90-95. Journal Of Advance Researches In Medical Sciences ( Formerly Journal of Advance Researches in Biological Sciences). 2011; 3(2): 66-70. Impact of Slow Breathing Pranayama on Heart Rate Variability. International Journal of Health Sciences and Research (IJHSR). 2016; 6(12): 91-96.
International Journal of Current Research and Review. 2013; 5(15): 87-94. Journal Of Advance Researches In Medical Sciences ( Formerly Journal of Advance Researches in Biological Sciences). 2012; 4(2): 104-107. Alkaptonuria – A rare disease. Garg I. K., Kumar L.and Jain G.
Journal Of Advance Researches In Medical Sciences ( Formerly Journal of Advance Researches in Biological Sciences). 2013; 5(1): 100-102. 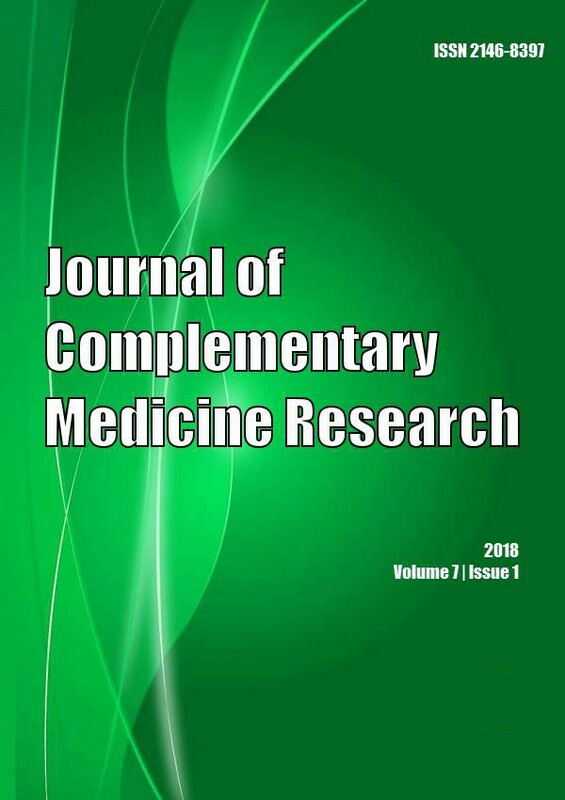 Garg I. K., Kumar L, .and Jain G.
Journal Of Advance Researches In Medical Sciences ( Formerly Journal of Advance Researches in Biological Sciences). 2013; 5(0): -. National Journal of Community Medicine. 2016; 7(5): 359-361. Effect of Nadi Shodhan Pranayama on Pulmonary Functions. International Journal of Health Sciences and Research (IJHSR). 2016; 6(4): 192-196. “Profile of clients attending Anti Retro-Viral Therapy (ART) Centre at L.L.R.M. Medical College Meerut”. Journal Of Advance Researches In Medical Sciences ( Formerly Journal of Advance Researches in Biological Sciences). 2012; 4(3): 187-189. Nasal Mucociliary Clearance in Various Phases of Menstrual Cycles. International Journal of Health Sciences and Research (IJHSR). 2016; 6(4): 185-191. National Journal of Integrated Research in Medicine. 2014; 5(6): 1-6. The Electromyography Study of Paracervical Spinal Muscle and Its Correlation with MRI and Physical Examination in Cervical Radiculopathy. International Journal of Health Sciences and Research (IJHSR). 2016; 6(4): 197-203. Effect of Community-Based Program for Promotion of Early Childhood Development on Nutritional Outcomes of Children with Severe Acute Malnutrition in 6-35 months of Age. International Journal of Health Sciences and Research (IJHSR). 2015; 5(5): 1-10.
International Journal of Medical Research & Health Sciences. 2015; 4(2): 460-463. A Study of Median Nerve Conduction Velocity in Diabetes Mellitus Type 2 in Neurologically Asymptomatic Patients. International Journal of Health Sciences and Research (IJHSR). 2013; 3(5): 42-49. Journal Of Advance Researches In Medical Sciences ( Formerly Journal of Advance Researches in Biological Sciences). 2012; 4(1): 20-22. National Journal of Community Medicine. 2016; 7(3): 229-230.
International Journal of Clinical and Biomedical Research. 2017; 3(4): 78-82. National Journal of Medical Research. 2016; 6(3): 240-242. Archives of Clinical and Experimental Surgery (ACES). 2016; 5(3): 169-176. National Journal of Integrated Research in Medicine. 2013; 4(6): 11-17. Prevalence of Postmenopausal Symptoms, Health Seeking Behaviour and Associated Factors among Postmenopausal Women in an Urban Resettlement Colony of Delhi. International Journal of Health Sciences and Research (IJHSR). 2016; 6(4): 51-56. National Journal of Medical Research. 2016; 6(3): 280-283.
International Journal of Current Research and Review. 2013; 5(19): 61-65. Online Journal of Otolaryngology. 2014; 4(2): 113-118.
International Journal of Clinical and Biomedical Research. 2017; 3(4): 33-38. Giant Cell Tumour Of Tendon Sheath (GCTTS) At Ankle Joint - Case Report With Radiological Review. International Journal of Health Sciences and Research (IJHSR). 2015; 5(7): 508-512. Journal of Anatomical Sciences. 2014; 22(2): 1-4. Journal Of Advance Researches In Medical Sciences ( Formerly Journal of Advance Researches in Biological Sciences). 2013; 5(4): 323-325. Radial Artery Aneurysm in a Case of Angiolymphoid Hyperplasia with Eosinophilia. International Journal of Health Sciences and Research (IJHSR). 2016; 6(2): 427-432. The Southeast Asian Journal of Case Report and Review. 2014; 3(4): 846-851.
International Journal of Research in Medical Sciences. 2016; 4(12): 5481-5483. The Southeast Asian Journal of Case Report and Review. 2014; 3(2): 628-633.
International Journal of Reproduction, Contraception, Obstetrics and Gynecology. 2016; 5(5): 1510-1513.
International Journal of Reproduction, Contraception, Obstetrics and Gynecology. 2016; 5(5): 1607-1612.
International Journal of Research in Medical Sciences. 2016; 4(5): 1578-1582.
International Journal of Current Research and Review. 2013; 5(16): 47-53.
International Journal of Current Research and Review. 2013; 5(12): 32-38.
International Surgery Journal. 2016; 3(1): 23-31.
International Journal of Research in Medical Sciences. 2015; 3(6): 1524-1526.
International Journal of Research in Medical Sciences. 2015; 3(2): 498-501.
International Journal of Medical and Pharmaceutical Sciences. 2013; 4(1): 10-16.